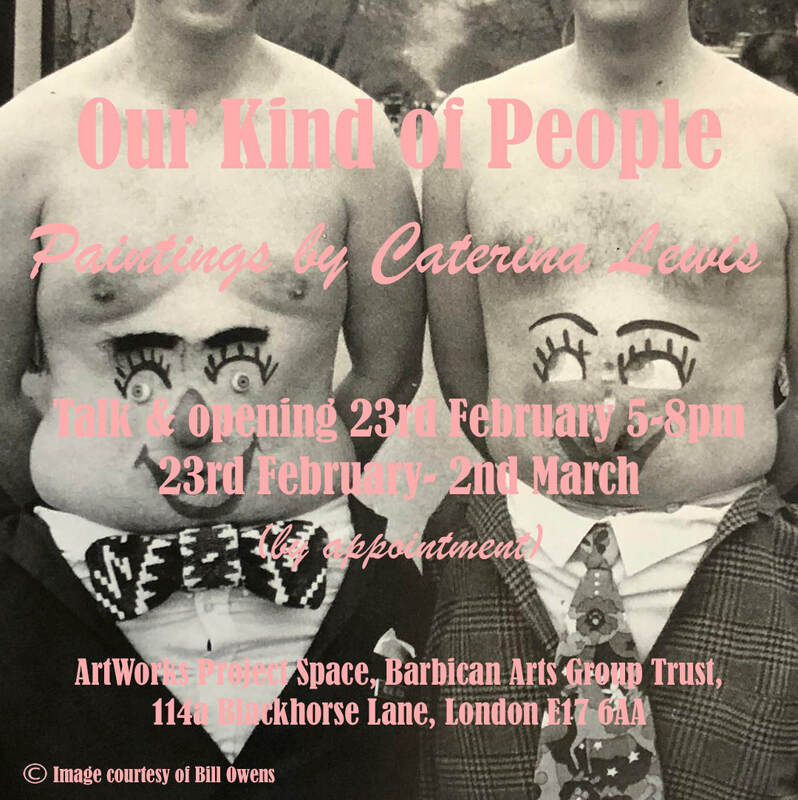 At first glance Caterina Lewis' very colourful, nearly abstract paintings are a world away from Owens' precise, documentary style black and white. Yet his photographs are not so much Lewis' starting point, as the point where her misunderstanding starts from; both in terms of her approach to the situations that Owens depicts (because, as Lewis puts it 'How can I possibly know?') as well as the motifs and techniques that she employs - or muddies, or forgets - as a means to re-imagine these 'uncanny moments'. Certainly, the paintings reference many strange yet familiar things. A friend of Lewis' recently drew attention to the similarities between her work and Goya’s Los Caprichos (whereas I see the loosely worked cones of Guston, Redon's luminous layers, and the whimsical menace of Feininger...) only it was not the prints, but the concept of 'caprichos' - or caprice - that resonated with her. Or alternatively, it was not these other nearly abstract painters that inspired the exhibition, but the methodologies of Surrealism; attempts to access one’s unconscious drives through automatism and free-association. A quick walk around the show and these clever, but still painterly references make it clear that Lewis is one of the London art world's kind. But there are also chinks of an alternative (personal and artistic) history shining through. Her Hungarian heritage perhaps? Something folkloric - or mystical, or alchemical, or other. The work is familiar as in recognisable, and familiar as in a spirit animal, or demon. I am sitting in a room is an exhibition which brings together three artists whose work records time-based processes in painting and sculpture. Often using feedback loops as a basis for composition in their respective practices, each artist responds to Alvin Lucier's masterpiece of minimal composition and drone music. Alvin Lucier's 1969 performance piece, I am sitting in a room, begins with the recital of a text, which is recorded and subsequently played back in the same space. This new audio is re-recorded, then played back and recorded again, each subsequent version more distorted until the human voice is almost completely lost to the resonant frequencies of the room. As Lucier's work demonstrates, structure is destroyed and constructed concurrently through feedback loops, and personal traits or glitches can be 'smoothed out' through their desolation. As with all forms of feedback, this is a system where the results of past performance are reinserted into the present. In response to Lucier’s work, three artists present their own form of feedback. Their work develops from the re-evaluation and insertion of past themes, ideas and motifs. Presenting material aspects of the everyday, the work suggests the patina of ritual. Domestic familiarity becomes abstracted through the artists’ decisions and processes, highlighting these elements and functions while at the same time transforming them within the logic of the works themselves. The language of sculpture and painting, which by its own self-referential nature is already involved in a type of feedback loop, is used to build and take apart themes, forms and structures concurrently. Andrea Scopetta (b. 1977, Italy. Lives and works in London) Selected exhibitions: Summer exhibition, Walthamstow Window’s Gallery (2018). Cross Culture, Sway Gallery, London (2017). 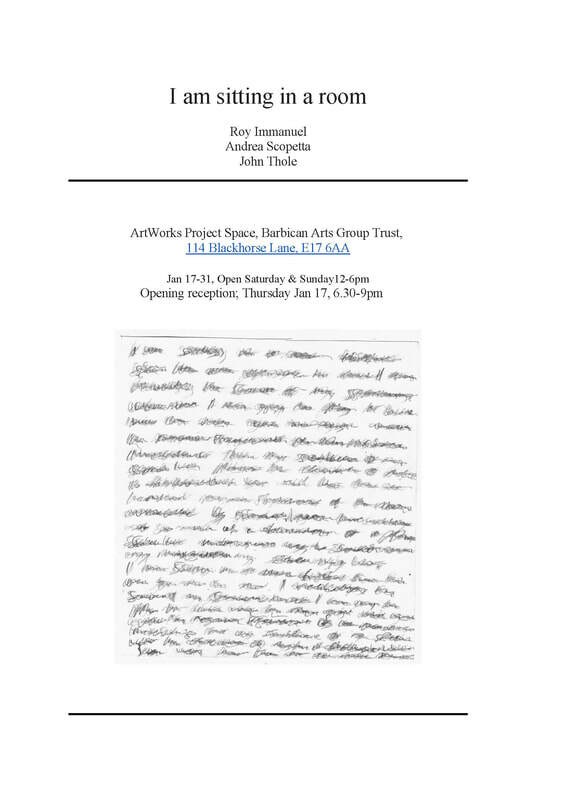 Artworks Open, Barbican Arts Group Trust, London (2015). T-A-X-I, Almanac project, London (2013). BETTER THAN BETER, Copenhagen Place, London (2013). Polline e cerniere, Istituto Svizzero di Roma sede di Milano, Milan (2012). Il mondo in presenza di cose, Perugia, (2010). I'm not here / I'm not her, Ancona, (2010). White Project arte contemporanea, Pescara, (2009). Aloe Vera, Zelle Arte Contemporanea, Palermo (2009). This is for you, fuorizona artecontemporanea gallery, Macerata (2008). Basico, Galleria Paolo Erbetta Arte Contemporanea, Foggia (2008). An exhibition of selected works by 2nd year Graduate Fine Art Media from the Slade School of Fine Art. 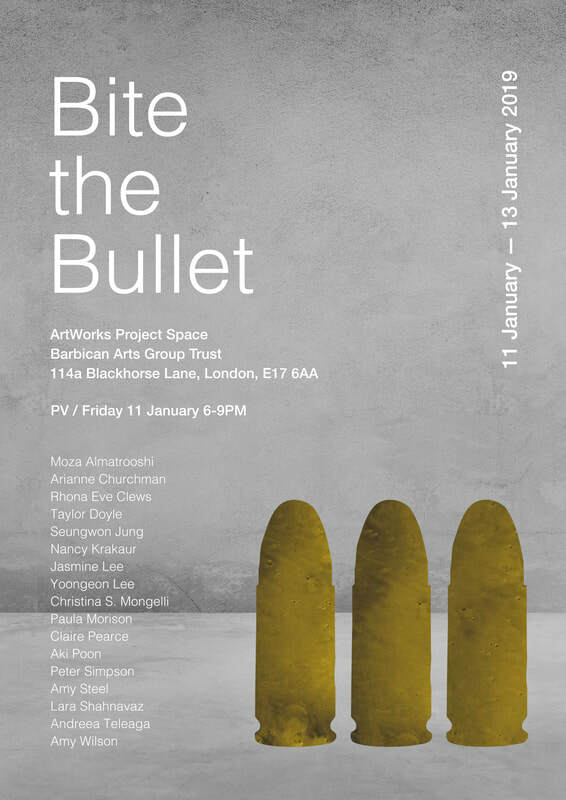 Bite the Bullet brings together seventeen artists who are concerned with challenging new media as a way of exploring territories including culture, politics and sexuality.